The mission of the SSPBA is to be “The Voice of Law Enforcement Officers.” This means when PBA members ask for help, they have the assurance of support from the PBA during difficult situations. 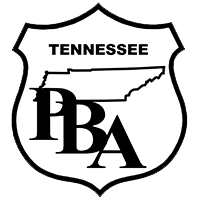 A PBA member who is very grateful for his membership and the work of the PBA is Rick Anderson from Hixson, TN. In June of 2013, Anderson and two other officers began comparing notes about some events that could not be reconciled individually. One officer took his suspicions to the city recorder since the issue involved the agency chief. Anderson met with the DA concerning his suspicions. After all thoughts, concerns and evidence had been presented to the DA's office, the DA in turn then contacted TBI. After all the officers involved met with the TBI agent, we then learned that there would be a full investigation of the chief over the concerns. At this time, Anderson called PBA and advised them of the situation. The PBA then put Anderson in contact with Chattanooga attorney Stevie Phillips. The PBA was very thorough in their correspondence with Anderson and with Stevie Phillips. Shortly after the initial contact with this PBA attorney, Anderson learned that three of the city commissioners were upset with all three officers for not reporting the suspicions directly to them so the issue could be handled in-house, so to speak. Anderson was also informed that those commissioners had decided that they should get rid of the three officers involved. Anderson at this time met with Stevie Phillips, and after contacting PBA, a plan of action was developed and put in place. In August 2014 Anderson was demoted from full-time detective to part-time patrolman and was advised he would be called to work when needed. After two months without a call, it seemed obvious that the intent of those in authority was to follow through with their plans of dismissal. PBA and Stevie Phillips spent a great amount of time discussing the options that would be involved in this type of case. After much thought and debate among them, Anderson was called to meet with Ms. Phillips about PBA's decision in this very difficult case. Much to Anderson's pleasant surprise, he was advised of PBA's final decision to represent him in filing a lawsuit in this matter. Because this action would go to federal court, it was determined it would be very expensive. However, because of the principle involved and the applicable law, PBA felt it was the right thing to do. Anderson was advised that he had PBA's full support in this case to whatever the outcome would be. In October 2016 Anderson settled his case with the help of Ms. Phillips and the support of the PBA. As poetic justice would have it, all three of those commissioners lost their bid for re-election in November 2016. Anderson can personally say he knows the value of being a PBA member and the confidence he has in knowing that PBA supports their members that need legal protection as well as moral support when they are unjustly accused.